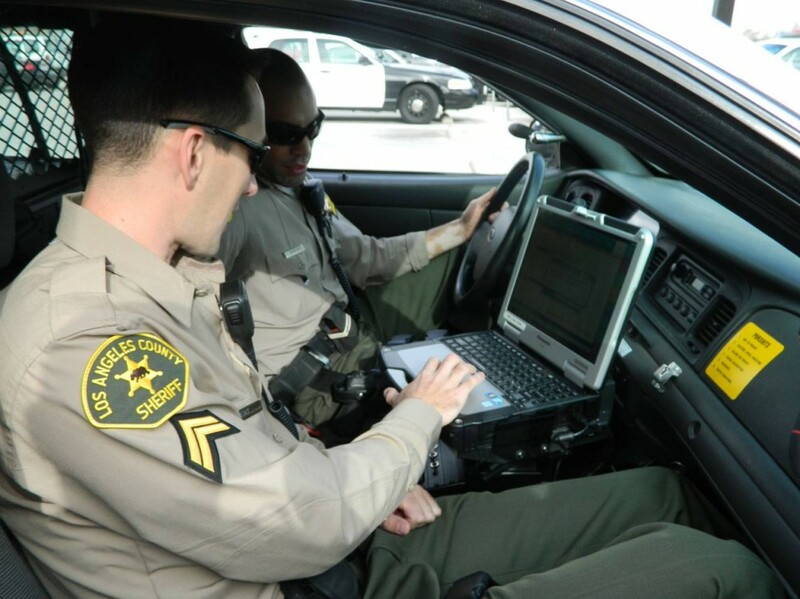 LANCASTER – The Sheriff’s Department’s new multimillion dollar mobile computer system is earning its keep at the Lancaster Station. Deputies used the new state-of-the-art system, which has geo-tagging capabilities, to quickly recover drugs that were tossed out the window by a DUI suspect during a wild car chase through Lancaster last week. The suspect, 35-year-old Mohammed Kadri of Lancaster, was arrested for felony evading arrest; possession of controlled substance; possession for sales of a controlled substance; transporting a controlled substance; receiving Stolen Property; driving on a suspended license and probation violation. He was booked at the Lancaster Sheriff’s Station with bail set at $75,000. On Friday December 9, 2011 at approximately 11 a.m., Deputies Gonzales and Martinez who are assigned to the Lancaster Community Appreciation Project (LANCAP) were patrolling in the area of 20th Street East and East Avenue J-8 in the city of Lancaster when they saw a vehicle that was being driven in a reckless manner. When the deputies attempted to pull the vehicle over to conduct a DUI investigation, the driver of the vehicle refused to stop. As the deputies pursued the vehicle, the driver continued to drive in a reckless manner disobeying all traffic signals and stop signs. During the pursuit that lasted approximately six minutes and covered nearly five miles of city streets, the deputies saw the suspected drunk driver throw plastic baggies out of the vehicle. 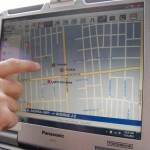 Using the new state of-the art mobile digital computer system (MDC) which has Geo-tagging capabilities, the deputies were able to pin-point each of the four locations where the evidence had been thrown by simply pushing a button on their computer. This technology allowed the deputies to return to those locations where they recovered several “Baggies” that contained methamphetamine. The pursuit ended in the area of 15th Street West and Avenue K-8 and the suspect was taken into custody without incident. During a search of the suspect’s vehicle, deputies found an antique western “show” saddle and additional narcotics. The saddle had been reported stolen during a burglary of a storage container in Lancaster. The burglary occurred in October of this year. The saddle was valued at ten thousand dollars and has been returned to its owner. 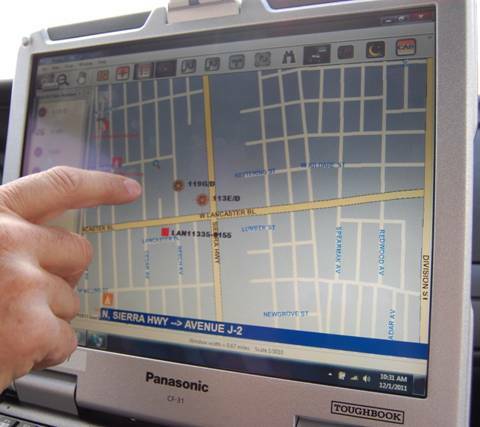 Read more about the Sheriff’s Department’s new mobile communication computer system here.